According to one source, you can be up to four times more likely to become disabled during your working years than you are to die. Yet we hear about life insurance, its benefits, and the different types of policies much more frequently than we hear about disability insurance. If you are of working age, and especially if you have dependents, you should consider purchasing a disability policy immediately. If you become disabled due to injury or illness, you may have to quit your job or take an extended leave of absence. Even with the best of emergency funds, you may find yourself out of money within weeks or months. Your employer may allow for an unpaid leave of absence while keeping your benefits – so your health insurance may cover medical costs, but you still need a way to cover ordinary living costs such as housing, food, and transportation. Disability insurance provides you with a means to do this. If you are young, you may think you don’t need disability insurance – you’ve heard that you probably don’t need life insurance unless you have dependents. But young people may be even more in need of disability insurance, as they are less likely to have significant savings or liquid assets, and will have a longer wait to retirement if they are unable to ever go back to work. 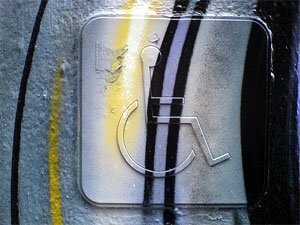 Social Security does provide limited disability benefits for covered workers -– but the definition of disability is quite strict, and there are often many hoops to jump through to qualify for an amount that will almost certainly be less than your actual income. Both short and long term disability polices exist. Short term disability policies are often covered by employers. They cover you for anywhere from 30 to 90 days, and are often used for things like a planned surgery from which you will make a full recovery. If you have a good emergency fund, covering at least 6 months of expenses, a short term disability policy is probably not necessary for you. Most people do need, and should have, a long term disability policy, and that’s what we’ll focus on for the rest of this article. Long term polices kick in after some elimination period without benefits – usually 30 to 90 days. Policies have different specifics (see below) but basically replace some percentage of your income for some period of time. The New York Times has a great list of questions to ask before buying disability insurance. Own occupation: Look for an “own occupation” policy that will pay benefits if you cannot do your own, current occupation – for instance, if a surgeon can no longer use his hands, or a secretary develops a condition that prevents sitting for long periods of time. “Any occupation” insurance will only pay out if you are totally disabled to the point of inability to work at all. This basically means that if you can do any job, even one at a significantly reduced salary, you will not get paid your benefit. These policies are cheaper, but nowhere near as valuable. Look for own occupation, or a hybrid “income replacement”. Benefit amount: Generally speaking, you should look for a policy that covers at least 80% of your salary at the time of disability. Yor needs may be different – use this calculator to double check. Do not buy into a policy that gives a set dollar amount – you never know when you could have a new, higher-paying job or massive raise around the corner! Benefit period: Until age 65. Having a set period such as 5 years will result in lower premiums, but is not a good option for someone in their 50s or younger. You need coverage until retirement age, when you can begin tapping retirement accounts and claiming Social Security. Inflation adjustments: Pay extra if necessary for a benefit with an annual cost of living adjustment, to help keep up with inflation. If you are disabled at 30 and draw benefits for 30 more years, you do not want to receive the same dollar amount the entire time! Elimination period: 60 – 90 days, or as long as your emergency fund can cover you before you will need benefits. Longer elimination periods mean lower premiums. Your employer may offer both short term and long term insurance, and may even pay for one or both. Talk to your HR director or benefits manager for more information. You may have to wait for open enrollment to register for coverage. If your employer doesn’t offer a policy, or you want to purchase additional insurance (a good idea if you plan to move or change jobs in the near future, or if your employer’s plan lacks some of the characteristics above), get several quotes before purchasing. Start with whoever holds your home and/or auto insurance – maybe you can get a discount for purchasing another policy. Then ask trusted family members or close friends if they have a policy, and if they can put you in touch with their agent. Finally, look at some of the major insurance companies – MetLife, Northwestern Mutual, etc. If you pay your own premiums, the benefit will not be taxable if it is ever paid out. If your employer pays the premiums, the benefits will be considered ordinary income. If you split the costs, you will pay taxes on a proportion equal to the proportion of the premiums that your employer paid. If you can afford it, disability insurance is one of the best ways to manage risk and protect your assets in case of illness or injury. Premiums for individual policies run upwards of $1,800 a year, but group policies through your employer can be less than half that. Do your best to find the cash – if a tragedy (or even just minor accident) strikes, you’ll be glad you did. Jill grew up in Texas, graduated from college in 2007 and is currently working in the DC metro area. Jill recently completed a 9-month certificate program in financial planning and will take the Certified Financial Planner (CFP) exam in November. After that she hopes to become a full-time financial planner. You can also find her as a staff writer at My Dollar Plan. I’m checking into some LTD insurance and I have a question. Should I buy a policy that locks in the rate for the next 20 years or one that is renewable on an annual basis with increasing premium. I was told by the person who is trying sell me some a policy to go with an annual premium one called T80. He said that a rule of thumb is one shouldn’t purchase a fixed premium policy prior to age 40. Hi I have been on temporary disability for about 5 months I had triple by-pass and I have emphysema. My company gives a a benefit long term disability that will kick in at 6 months. My problem is that I think if my leave is extended by my doctors my company will fire me. If the do this does the policy stay in effect. I am still to unhealthy to return because its a smoke filled environment this will only hurt me not help. I have to ask where you find policies that pay on percentage and not dollar amount. Individual policies are all based off a maximum dollar amount. Group policies will say they are percentage but in fact are based off a dollar amount that adjusts each year because it is essentially renewed each year. That’s why I recommend future purchase options with individual policies for younger people with high earning potential. You also make it sound like a group policy is all people need. From my experience most group disability policies are pretty much horrible and cover close to 45% of income not the 60% they claim to cover. You make great advice in regards to ‘own occupation’ but most group policies might cover a person’s own occupation for 2 years at most. I just learned that disability insurance is a must for the self-employed. I honestly had no idea but I haven’t been self-employed before. I will definitely have to consider this because it seems to make sense. And, it will definitely lead to peace of mind should the unforeseen happen. Jill-An informative and thoughtful article.The information on disability insurance is especially helpful for senior people.It is better to opt for an employer plan as individual insurance plan will make you pay more for the premiums.The benefit period until the age of 65 ideally can be extended. Wow. I really like your article on The Basics of Long-Term Disability Insurance. I am looking into this for relatives who are older and retired, but I know that I may need the coverage for myself “just in case”. But what if I have disability insurance through by job? Is it still necessary? I have not had a chance to check into this just yet.